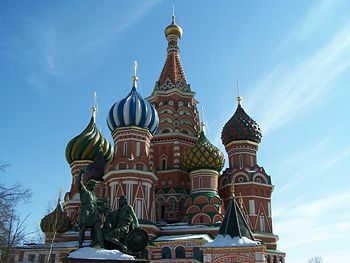 Charm City Traveler: Two Great Travel Deals: Moscow or Istanbul for Under $600! Two Great Travel Deals: Moscow or Istanbul for Under $600! With the typically heavy summer travel season coming to a close, many airlines are going all out to lure passengers into fall and winter trips. Via Lufthansa Flyer, Lufthansa is offering round trip tickets from New York to Moscow for $599. This fare is typically $700-$1000 (or more), so this price represents some incredible savings. For more details on the promotion, check out Lufthansa Flyer's post. Travel must be purchased by September 6th and depart for Russia no later than October 31st. Via The Flight Deal, Air Canada is offering flights from Chicago to Istanbul, Turkey for $553 including taxes. Restrictions seem to be much more relaxed for this fare, and it appears to also be good from Washington D.C. for $575. For full booking details, make sure to visit The Flight Deal's post. 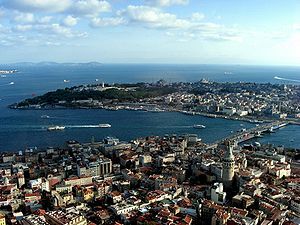 Istanbul is a place that I've always wanted to go, mixing both great aspects of Europe and Asia....all located on the Bosphorus. October and November seem like relatively temperate months, so this could be a perfect time for a jaunt to Turkey! If you have the flexibility and a valid passport, both of these fares are hard to beat. Shoot me an email if you see any other deals coming down the line. I always have my ears open for great fares. Mr. Wilkes, you have once again found an incredible deal. Highly recommend Istanbul for anyone on the fence.